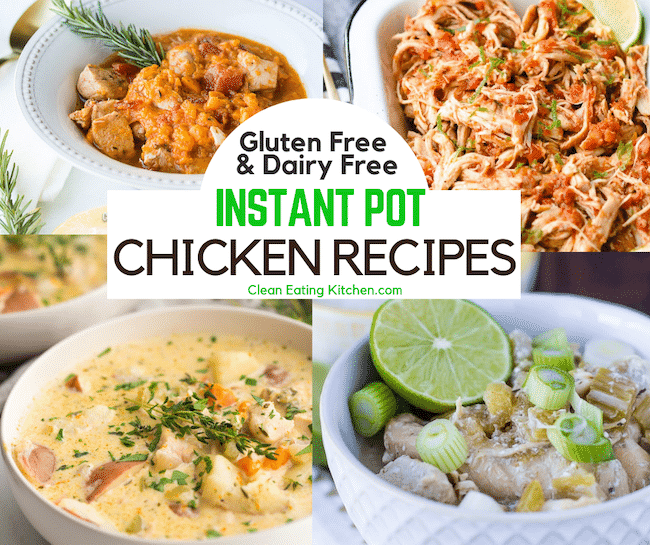 Home » Pressure Cooker » Instant Pot Recipes » Instant Pot Chicken Recipes – All Gluten-Free & Dairy-Free! Instant Pot Chicken Recipes – All Gluten-Free & Dairy-Free! I hope you enjoy this round-up of almost 50 Instant Pot Chicken recipes, all gluten free and dairy free! You’ll find recipes for chicken breasts, chicken and rice, and other healthy, simple recipes. Cooking chicken that is moist and full of flavor has never been easier than using the Instant Pot. I recommend getting the 6-quart version if you don’t have one yet. The possibilities are endless for making healthy and delicious gluten-free and dairy-free meals. I had such fun gathering up all of these delicious contributions to this Instant Pot Chicken recipe round-up. So many of my blogger friends shared their most delicious creations. I think you’ll find that there’s something for everyone in this epic round-up of Instant Pot chicken recipes. Now onto the food! The recipes in this category include Instant Pot chicken soups and stews that are hearty, nourishing, gluten free and dairy free. A super rich and creamy chicken pot pie soup based on the comfort food classic. Whole30 and paleo, too. 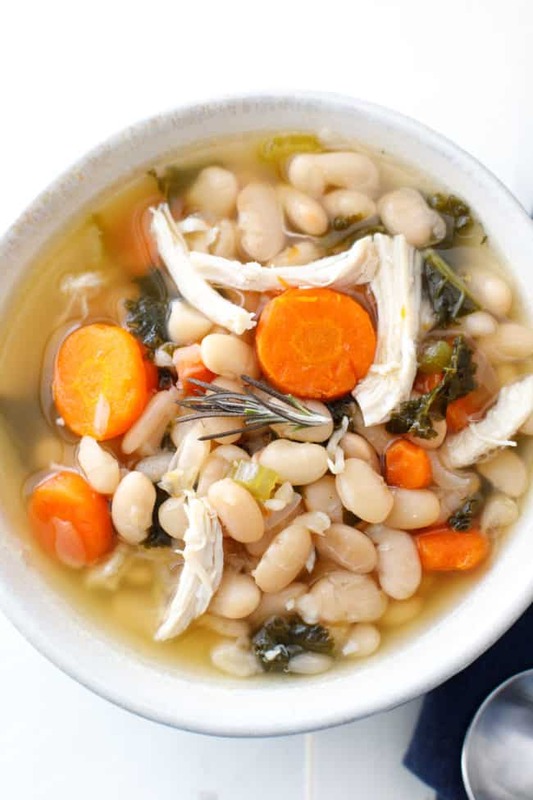 This healthy white bean, chicken, and vegetable soup is a comforting dinner recipe that you’re sure to love! This Italian stew has tender, shredded chicken accompanied by vegetables like onions, celery, carrots, and tomatoes. 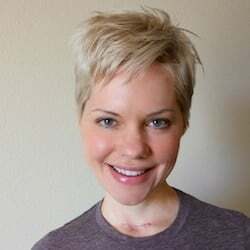 It’s great for low carb, keto, paleo, and gluten free diets. Instant Pot chicken tortilla soup is a delicious, quick and easy dinner that you can throw together in less than thirty minutes. 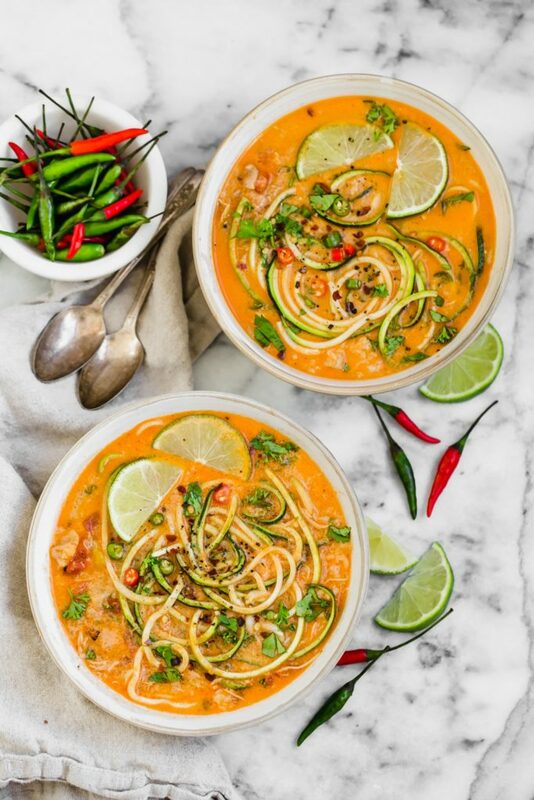 This Thai chicken zucchini noodle soup is a fast and easy Instant Pot recipe that will be loved by the whole family. 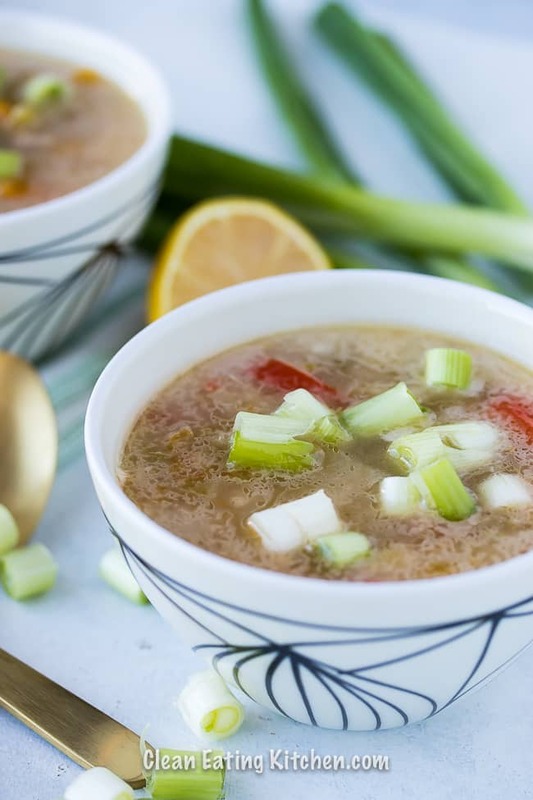 This whole30 compliant soup is made with plenty of vegetables and juicy chicken thighs and an absolute must for meal prep and one pot recipes. The recipes included in this category have an emphasis on ease of preparation, perfect for those busy weekdays when you just need to get food on the table fast! This Instant Pot Chicken Marsala dish is perfect for an easy meal prep lunch or dinner that is paleo and Whole30 diet friendly. Here’s a super simple and easy Chicken & Sweet Potato Dinner recipe that only takes 30 minutes. It’s a delicious, Whole30 Instant Pot chicken recipe perfect for busy weeknights. You’ve found the best and easiest Instant Pot whole chicken recipe. This recipes for cooking a whole chicken in the Instant Pot takes less than 45 mins and produces a moist and flavourful rotisserie style chicken – total perfection. This whole chicken pressure cooker recipe for the Instant Pot will make you a dinner-time hero in well under an hour and will leave our friends and family begging for seconds. 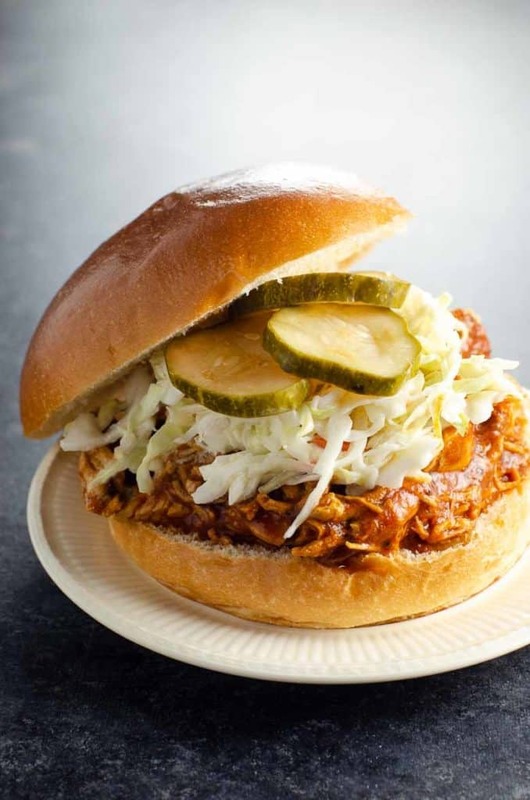 Instant pot BBQ pulled chicken is a quick, healthy, four-ingredient meal that the whole family will love. Instant Pot Whole Chicken is tender and juicy. It’s the perfect tool for meal prep, a Sunday dinner, or for recipes throughout the week! The Instant Pot is the easiest way to make shredded chicken! This recipe also has a chart for how long to cook it based on weight. The recipes in this section are all great for keto and low carb diets. 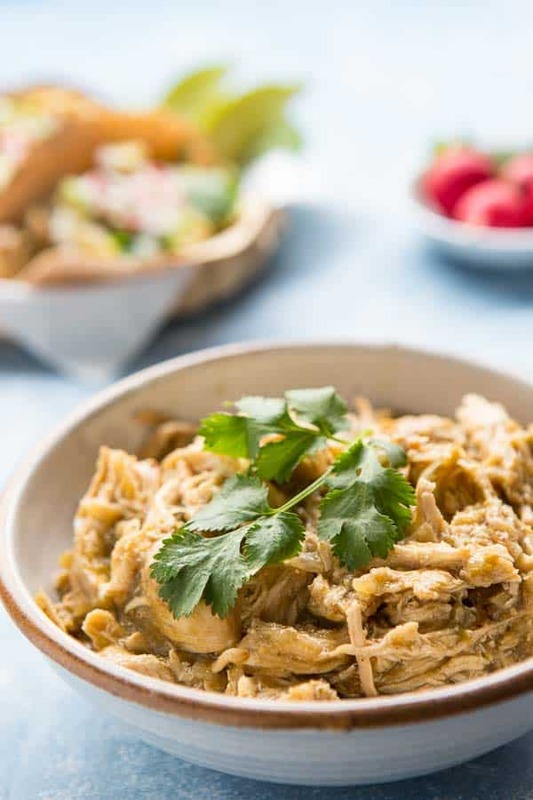 This Instant Pot Coconut Chicken recipe is a 30-minute meal with only five ingredients. This recipe is paleo, keto, and Whole30 friendly! 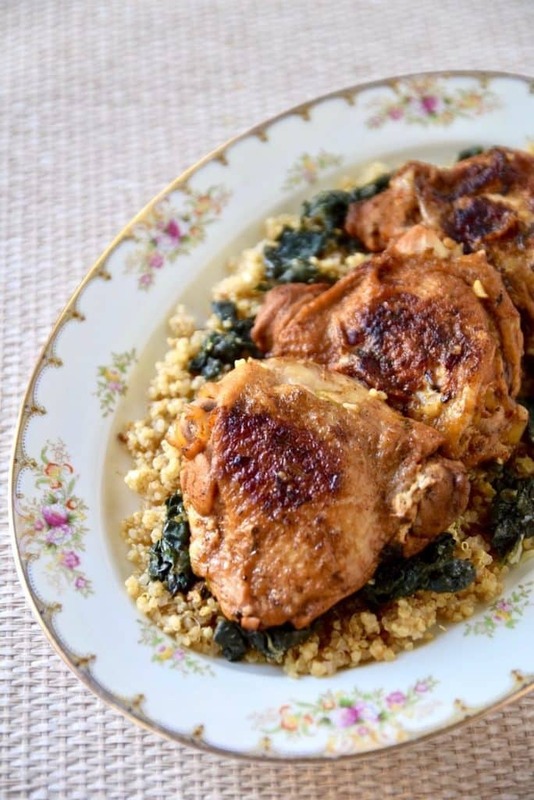 This Instant Pot Garlic Lemon chicken is easy to make and is low carb, paleo, and keto friendly. Looking for the best Instant Pot chicken breast recipe? You’ve found it. This method produces flavourful, tender, perfect chicken breasts using fresh or frozen chicken. Excellent for meal prep and make-ahead meal solutions. This super-simple yet flavorful Mexican Chicken Pollo con Salsa Roja will add great pizzazz to your dinner table. Great way to change up your chicken game! It’s fast, delicious, low carb and extremely flavorful. This amazing Instant Pot Rotisserie Chicken is easy to make, and is so delicious! You will never buy the Rotisserie Chicken at the grocery store, after you try this one. Instant Pot Low carb sesame ginger chicken is very versatile. Eat it plain, over zoodles, with rice, or in a lovely crunchy salad. Be sure to substitute tamari for the soy sauce in this one to make it gluten-free! 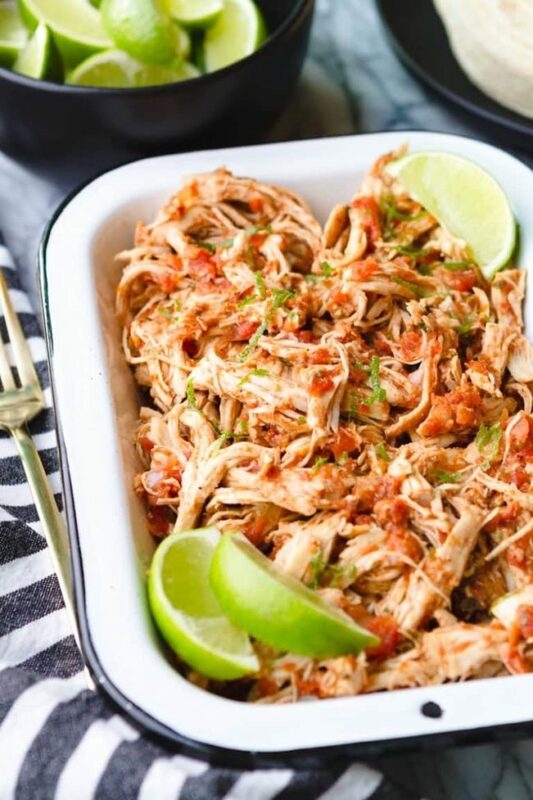 This healthy and low carb Instant Pot Salsa Chicken is perfect for all your meal prepping! Serve with cauliflower rice and a salad for a delicious low carb meal. Peruvian rotisserie-style chicken is easy to make mid-week and is great for those on a low carb or keto diet. Make an easy and delicious whole chicken for the whole family, using a pressure cooker. Pressure cooker chili lime chicken thighs have a nice sweet heat, and are moist and super fast to cook when prepared in an Instant Pot. It makes for an easy, healthy mid-week meal. This authentic Indian Instant Pot chicken curry is a delicious family recipe. Made with bone-in chicken, the Instant Pot cooks up tender chicken with lots of flavor. Authentic Goan Chicken Vindaloo made in the Pressure Cooker or Instant Pot. Vindaloo is a traditional Goan curry which is made with meat cooked in onions, ginger, garlic, along with lots of aromatic whole spices and the tanginess of vinegar. Tender and juicy chicken, cooked in a creamy tomato sauce, with pot-in-pot Saffron flavored Basmati Rice! 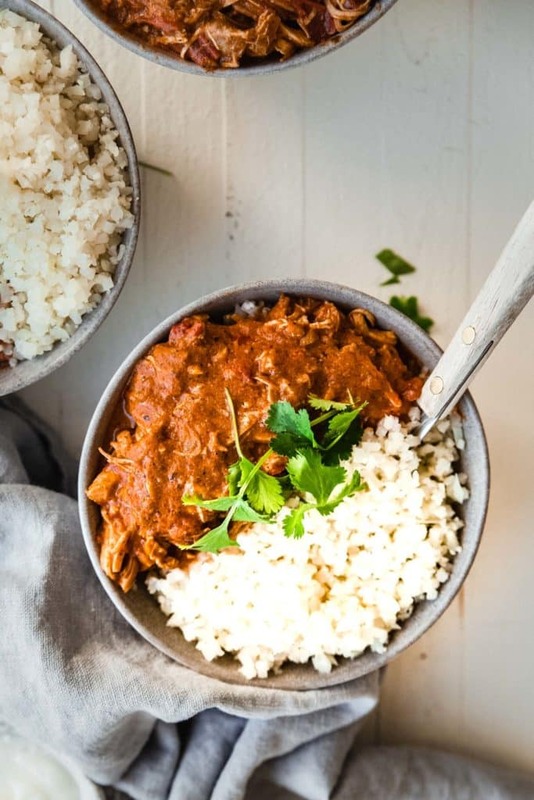 I’ve got an Instant Pot paleo chicken tikka masala that is so full of flavor and gets whipped up very quickly. It is so delicious and tastes wonderful over a bed of cauliflower rice. This dish is low carb, dairy free and Whole30 compliant, too! This Instant Pot Chicken Taco Soup Recipe has all of the flavors you love from Tacos in a comforting soup! Naturally gluten free and dairy free! This easy to make shredded chicken is perfect to make for chicken tacos or to add into a soup! With just a couple spices it is easy to make at any time. This quick easy one dish meal combines tomatillos with grape tomatoes and chicken thighs for a hearty chicken stew that is just a little bit spicy. Taco Tuesday couldn’t be easier with the help of the Instant Pot. 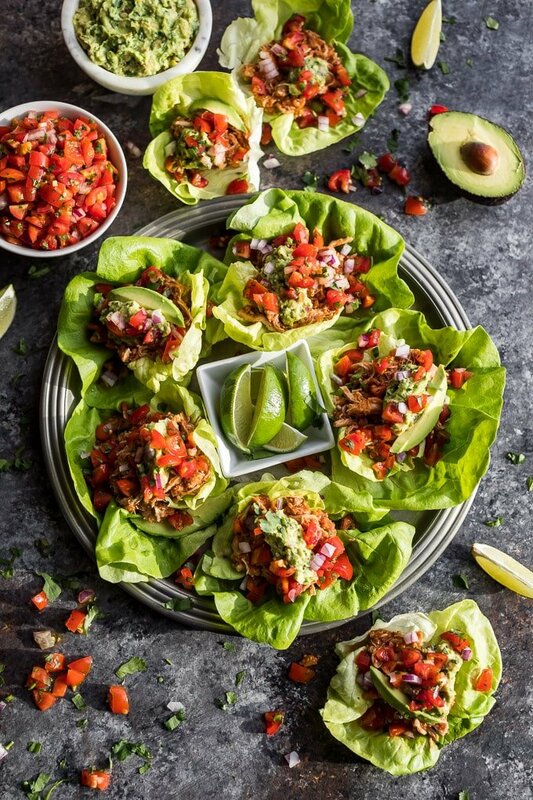 You can serve this Chicken Tinga with your choice of shells, my favorite is lettuce wraps! Instant Pot Chicken Recipes – The Best of the Rest! This Instant Pot Noodles with Chicken recipe is an easy, gluten-free dinner to make mid-week when you’re craving something flavorful and comforting. These Instant Pot marinades have been a total life saver lately! I love having these prepped ahead and in the freezer for extra busy weeks. Think you can’t have great barbecue chicken if you don’t have your own smoker? Think again! It will be ready in a matter of minutes, with a deep smoky flavor and fall-off-the-bone tenderness. A simple Instant Pot lemon chicken recipe featuring tender chicken breast seasoned with garlic and thyme, topped with a savory lemon sauce. 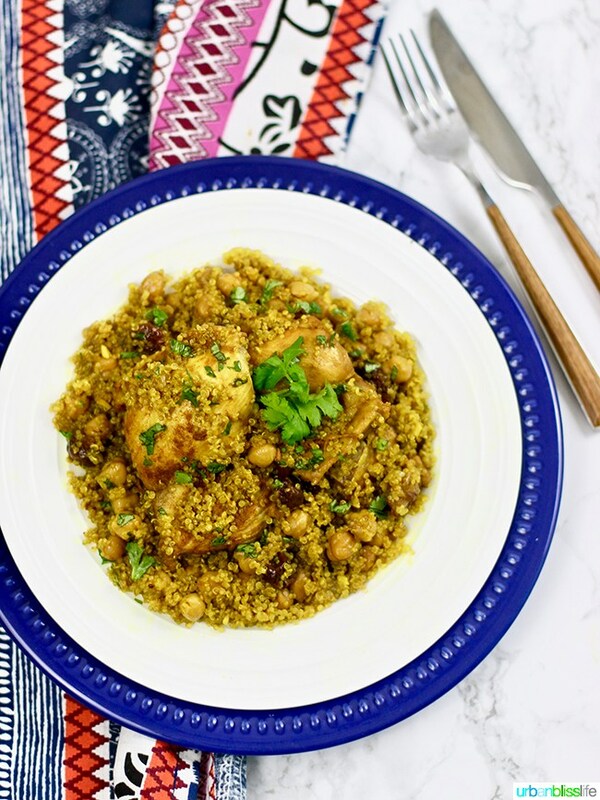 This healthy Instant Pot Moroccan Chicken recipe is packed with flavor and is sure to become a family favorite! It’s gluten-free, dairy-free, and comes together in just 30 minutes. This Sweet and Sour Chicken recipe is Whole30, gluten free,, sugar free and so simple to make! Ready in the less than 30 minutes, this recipe is better than takeout! Instant Pot Creamy White Chicken Chili is a quick and easy meal that’s Paleo and Whole30-friendly! Packed with veggies, it has a simple twist to make it even richer and more filling. A honey garlic chicken recipe using everyone’s favorite pressure cooker. Tender chicken coated with a sweet, savory glaze. 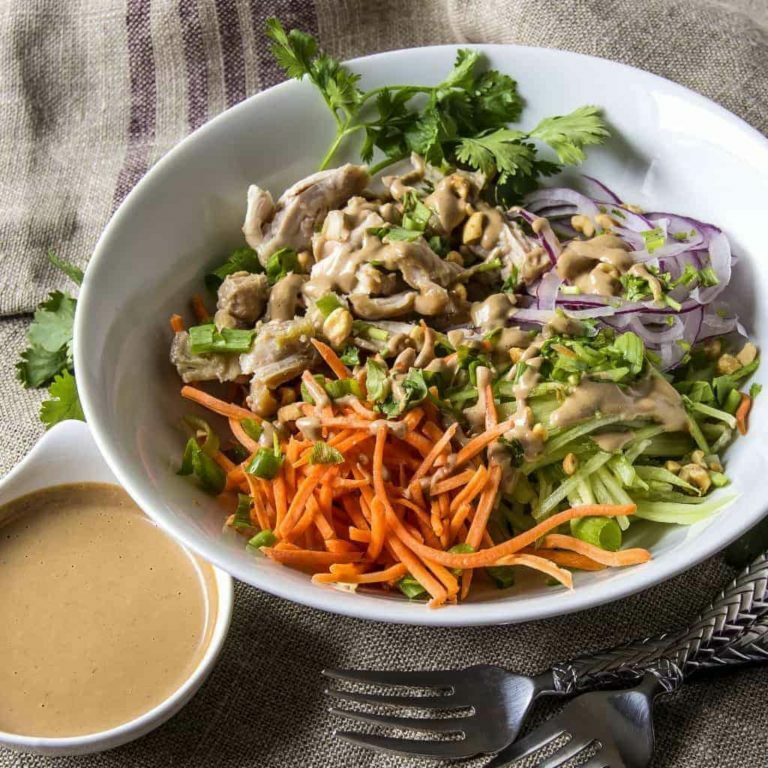 Skip the take out and try this! 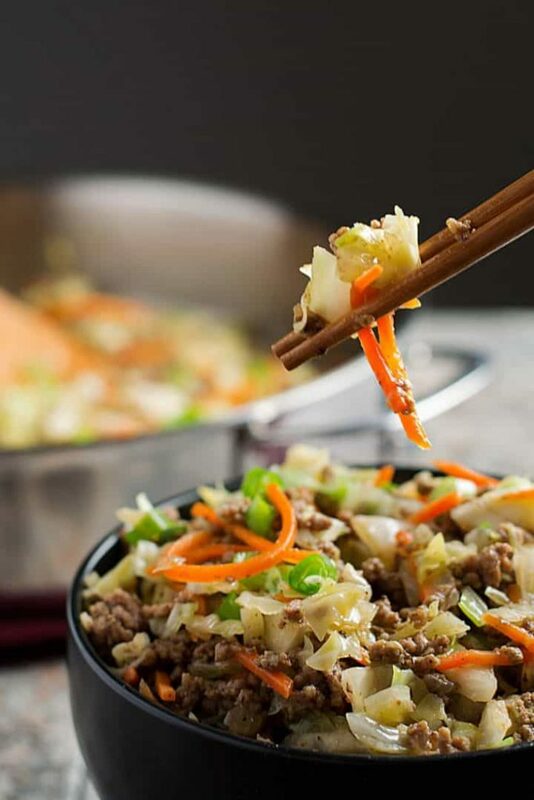 This Healthy Egg Roll in a Bowl has all of the great flavor of Egg Rolls, but it’s a sure to please Easy One Pan Meal without the carbs and grains of typical egg roll wrappers. I hope you enjoyed this Instant Pot chicken recipe round-up, featuring meals that are simple, healthy, and all gluten-free and dairy-free. Are you hungry yet? I know I am! Let me know which of the recipes you end up trying, or if you have a favorite that wasn’t included here. Please be sure to pin this post on Pinterest to save this page for later! Thanks for including my recipe! Sharing to social media. I do not have an Instant Pot, but my daughter does. I will be sure to send it her way. They love chicken, and I know they will enjoy many of these. There are so many good recipes here, I don’t even know where to start! I will say though, I think the Thai Chicken Zucchini Noodle Soup is calling my name, so maybe that’s where I’ll kick it off. Thank you for such a tempting list! I just got my Instantpot and it’s still in the box. I have not opened it yet. I’m was looking for some recipes to try and that’s how I found your website. I can’t wait to try all of them! What a great roundup! I’m not sure that there’s anything better than an InstantPot meal. So fast and easy! Oh wow, I was reading through these and drooling and then the Zucchini Noodle Soup caught my eye – YUM!! It is bright and colourful and right up my alley. Thanks for sharing a great collection. Gosh this is such a huge list, I can’t decide which to do first! The Thai chicken soup looks amazing, the vindaloo, the Mexican dishes, I could eat them all! Amazing collection under one roof! I live cooking in my IP and am always looking for new Recipe to try.. definitely saving this post 🙂 so I can try new Recipe! Great, glad you like this round-up! Thank you for all of these recipes, I have a new Instant pot and now I have a lot of chicken recipes for it! What a fantastic collection of chicken recipes. We eat chicken about 3 times a week so these recipes will certainly come in handy. I won’t have to fall into a rut of making the same ole same ole recipe. Thank you for this. I’m pinning!! I am still learning my instant pot, but I really like it. So many great recipes here. I’m in love with all of these recipes! Where would we be without the instant pot? Such a great and convenient way of cooking, especially when short on time! Oh wow! What a great collection of recipes! They all sound delicious and I think I got my dinners cover for this week! lol! Thanks for doing this round up! I still haven’t jumped on the instant pot bandwagon yet but this recipe Round-Up is definitely making me consider it! What a great compilation of delicious, easy dinners! So many great recipes here, but number 7 is right up my alley! I love Thai soups! So many great recipes, that are low carb and dairy free. Wonderful round!